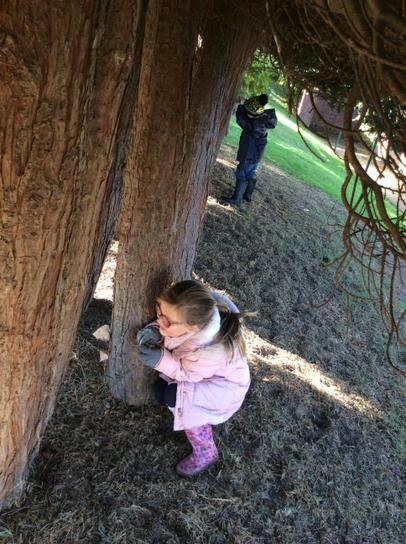 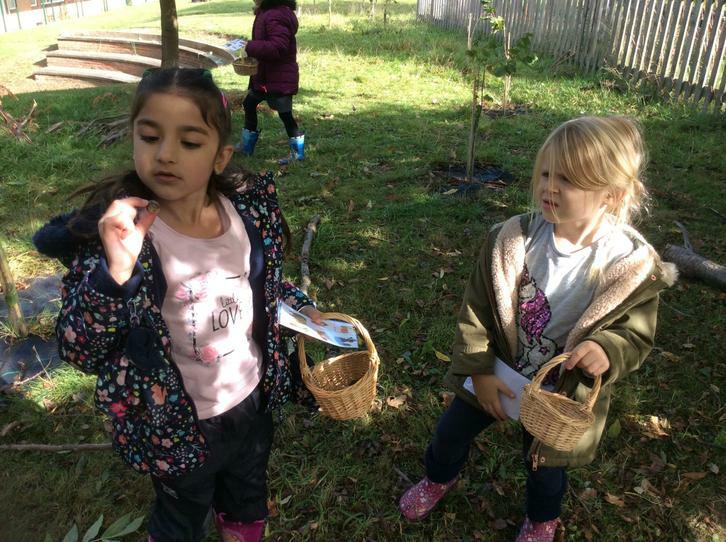 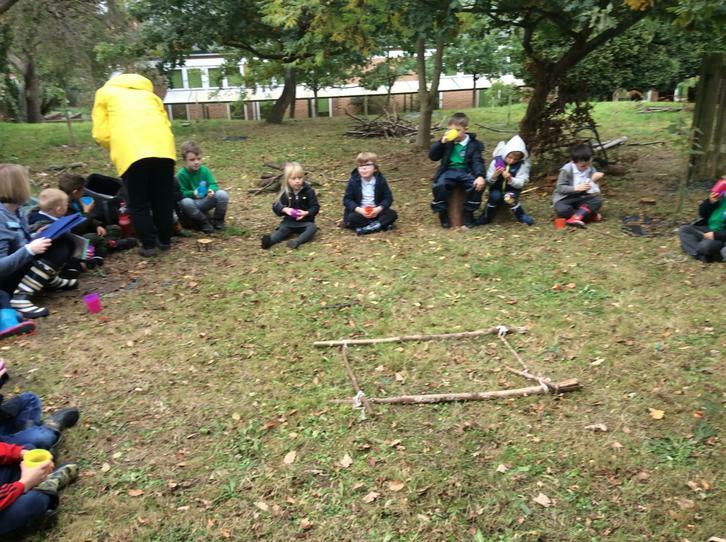 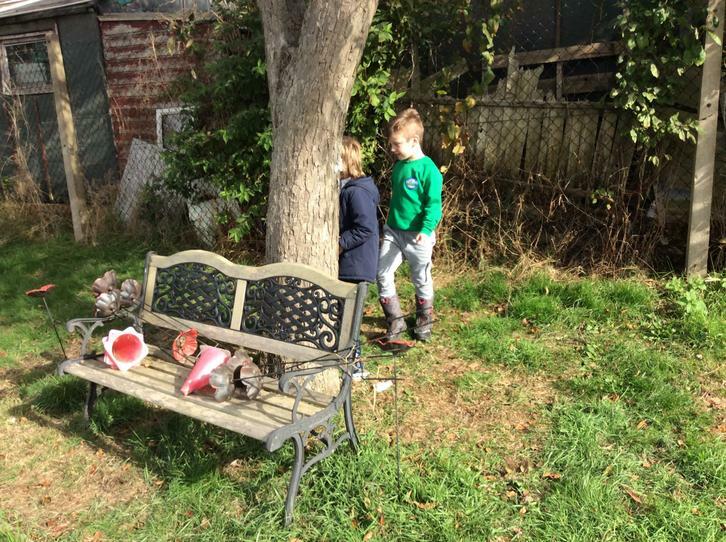 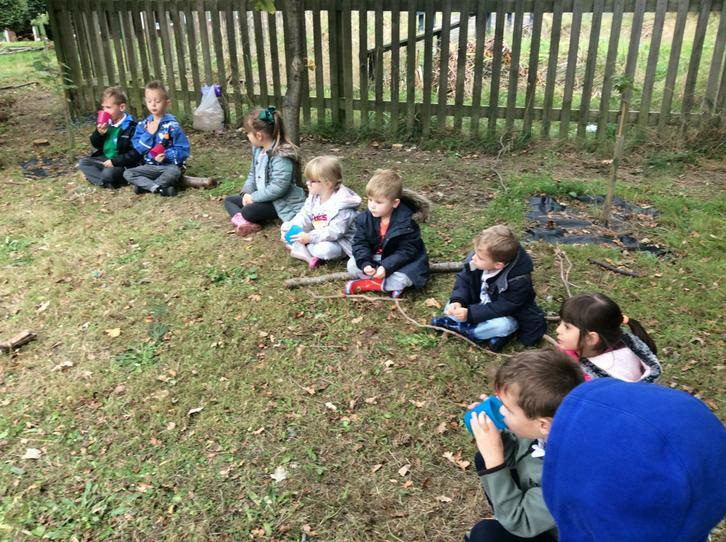 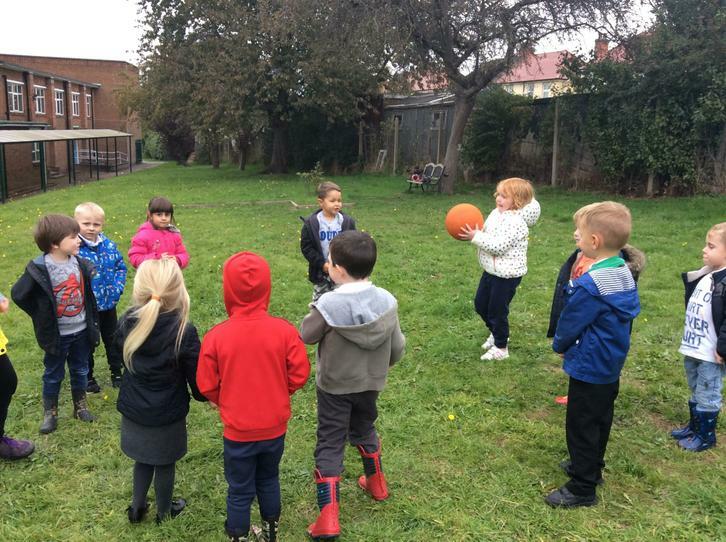 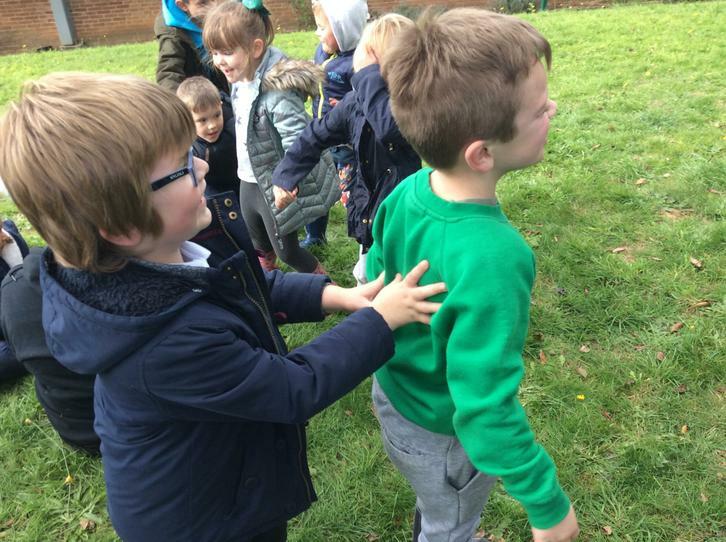 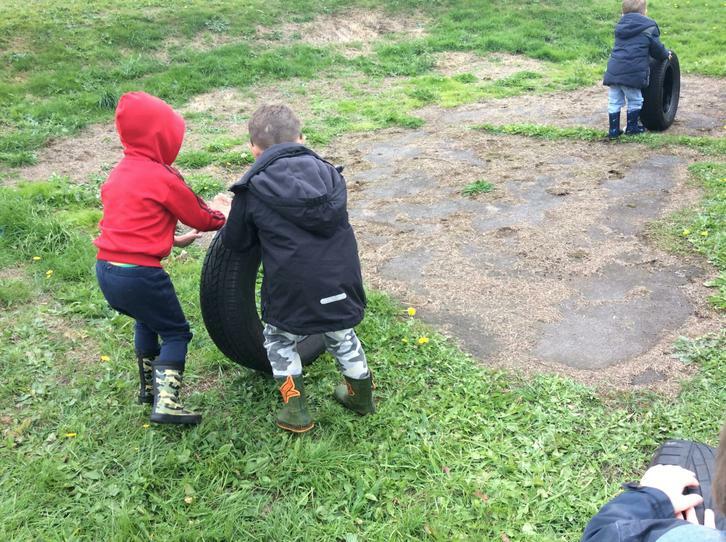 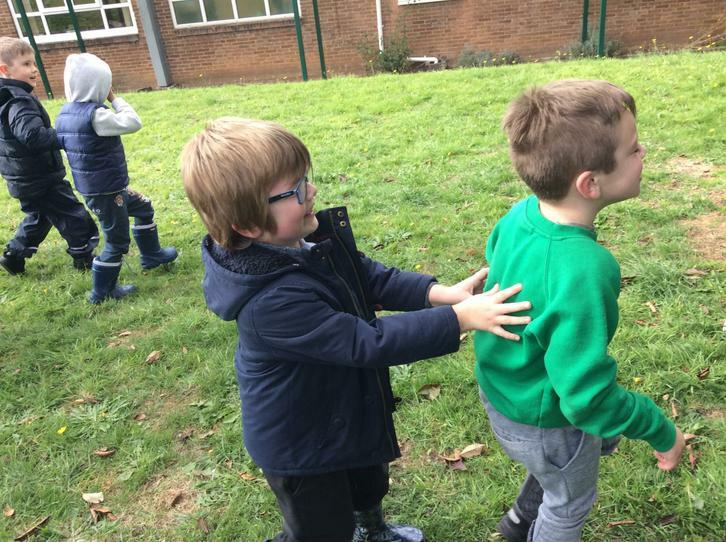 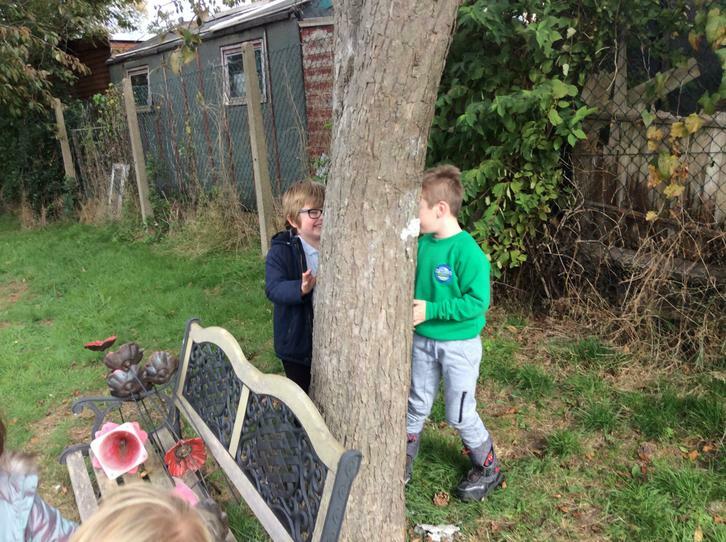 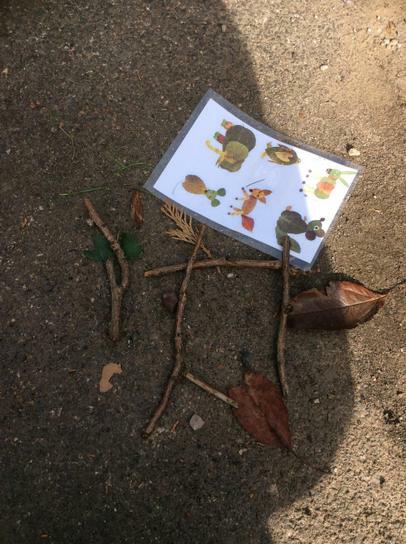 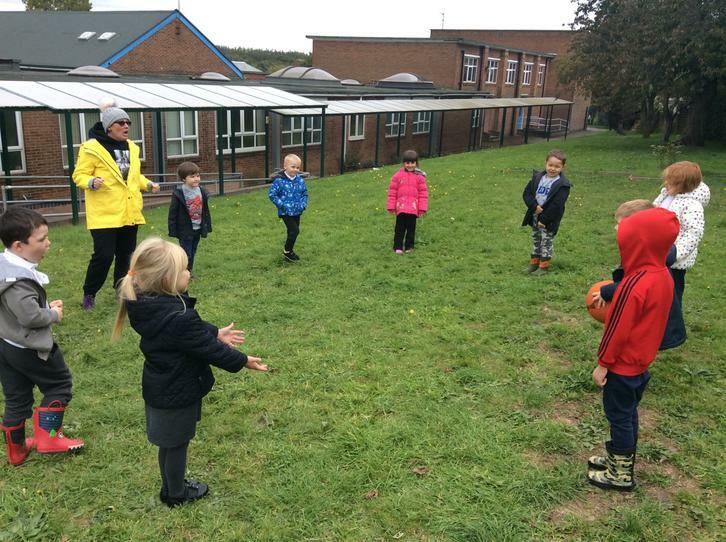 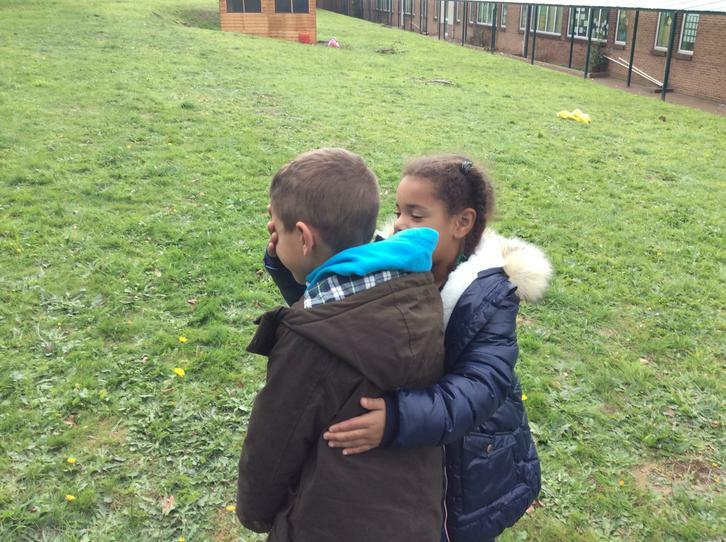 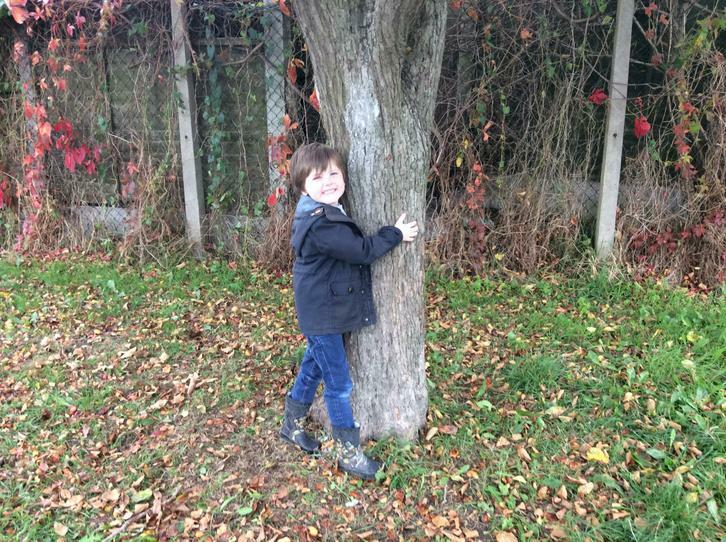 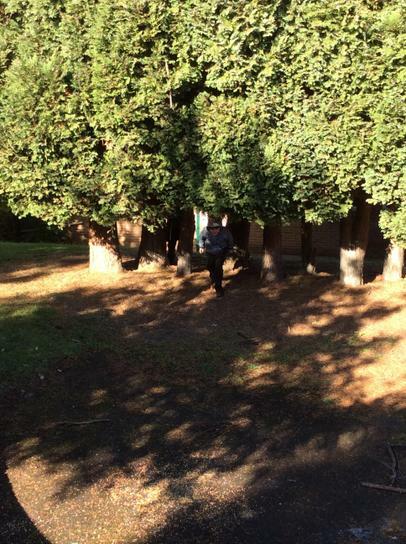 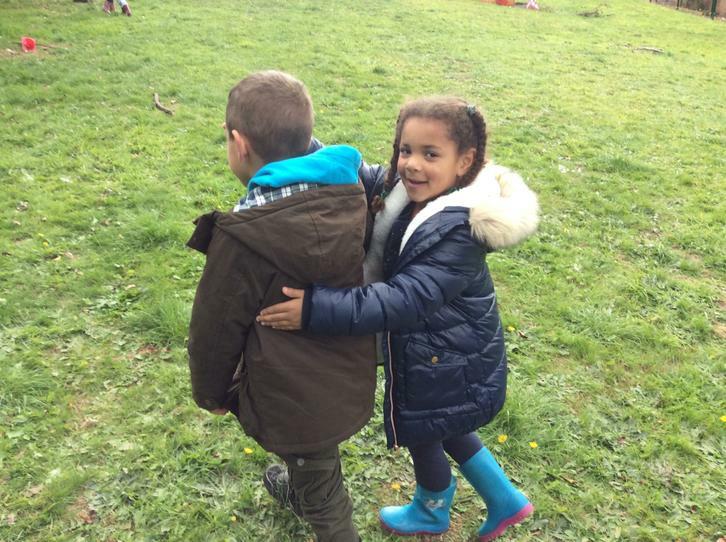 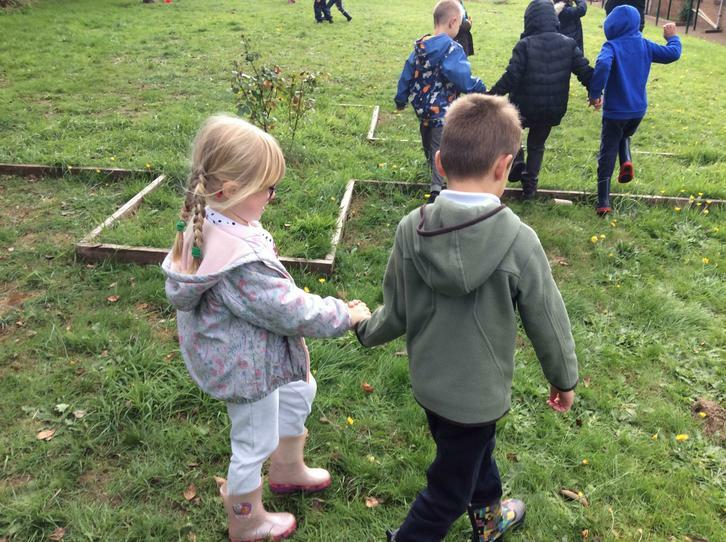 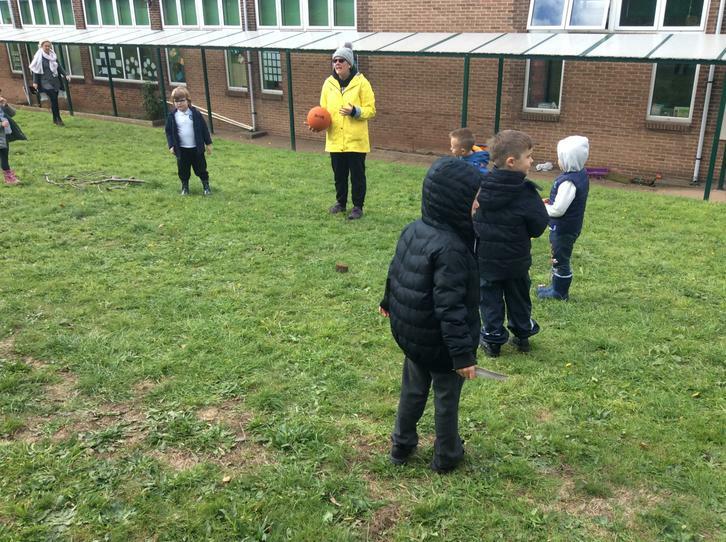 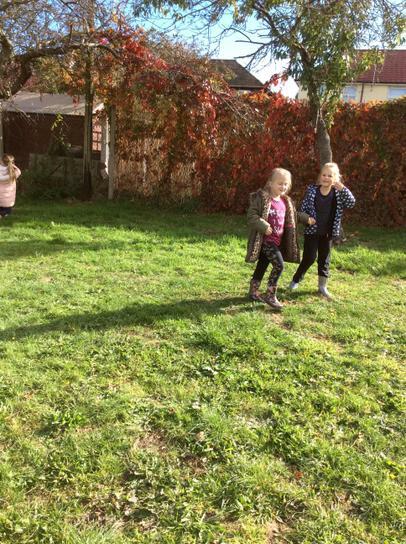 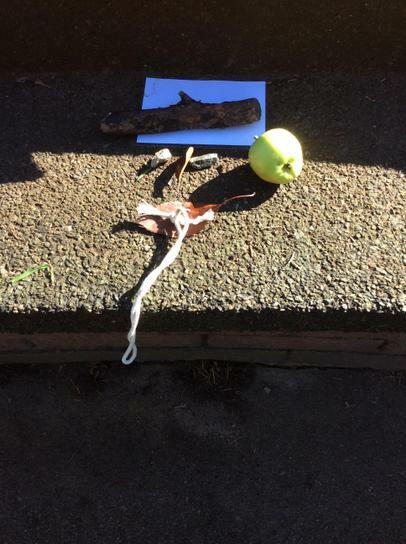 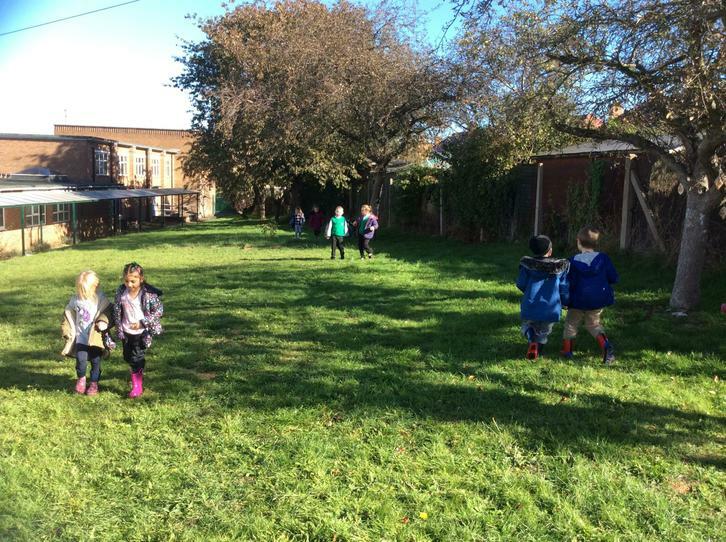 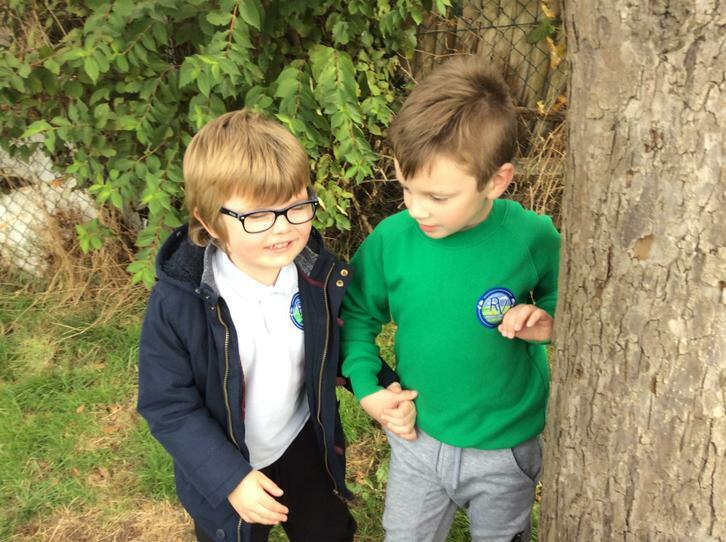 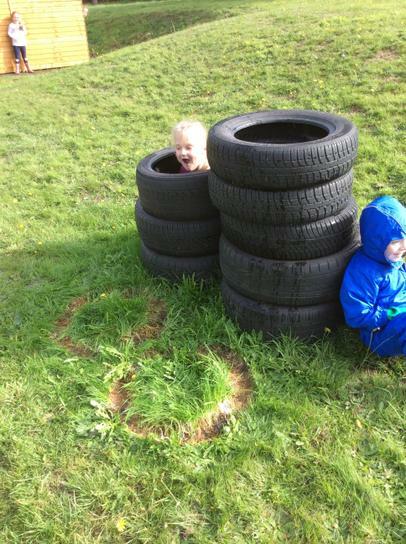 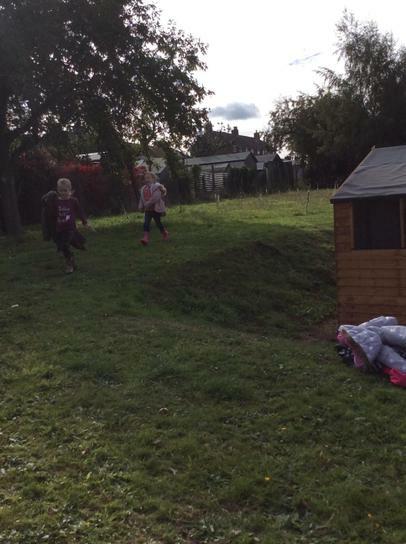 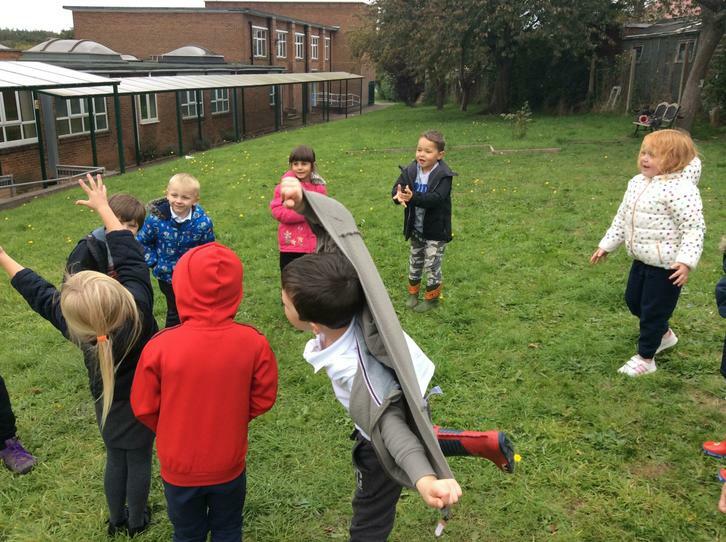 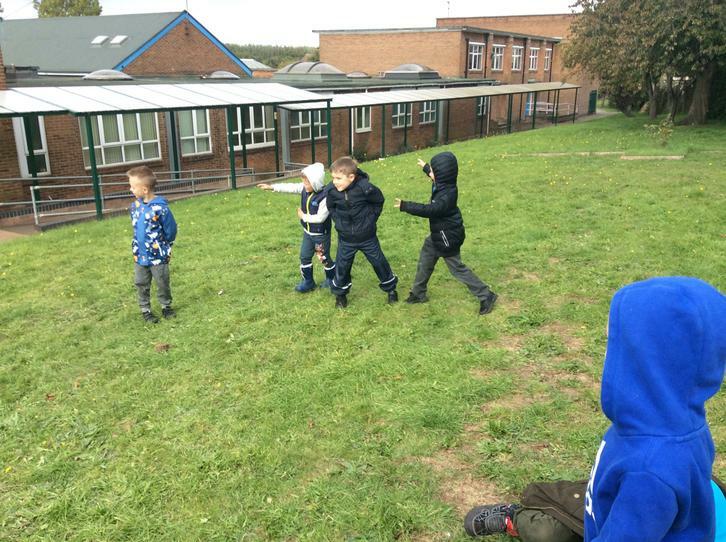 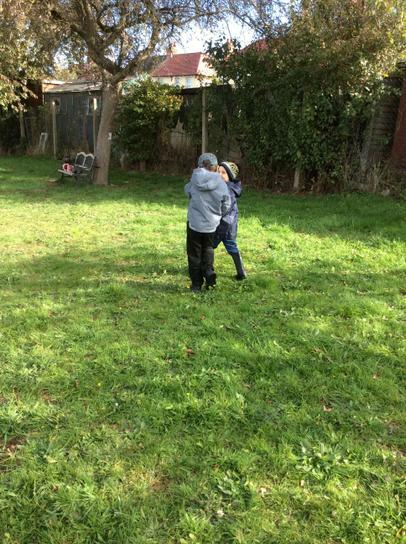 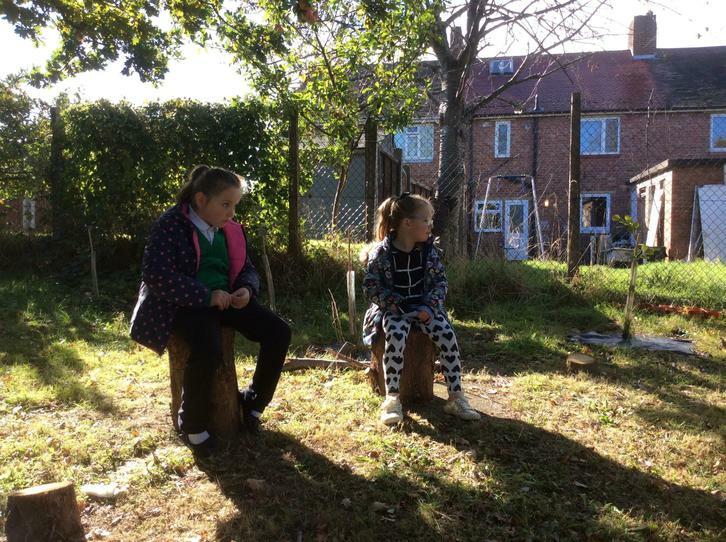 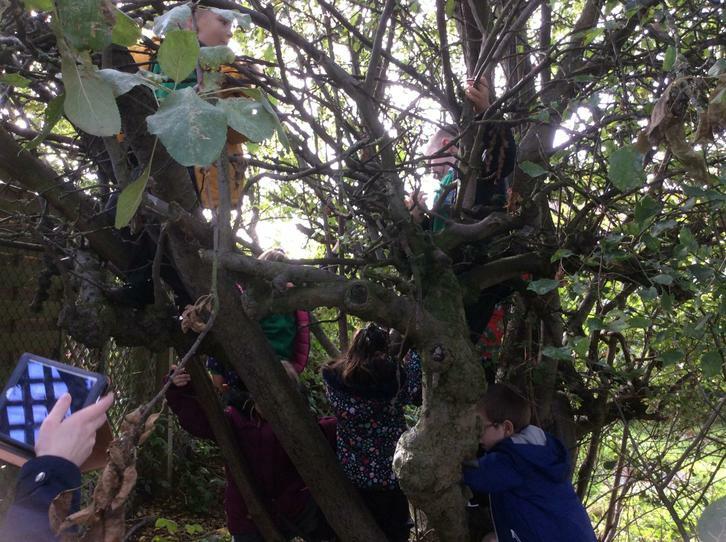 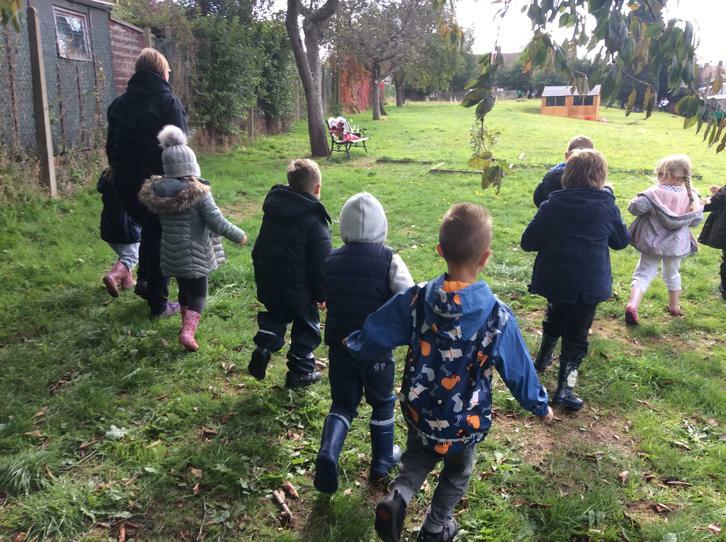 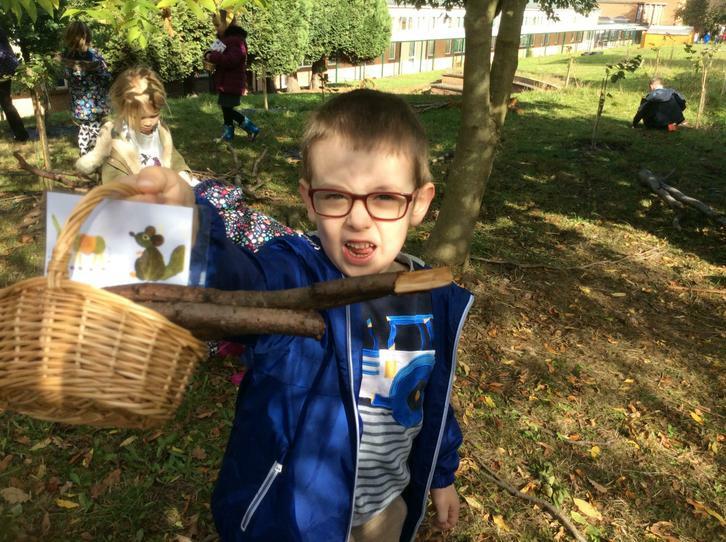 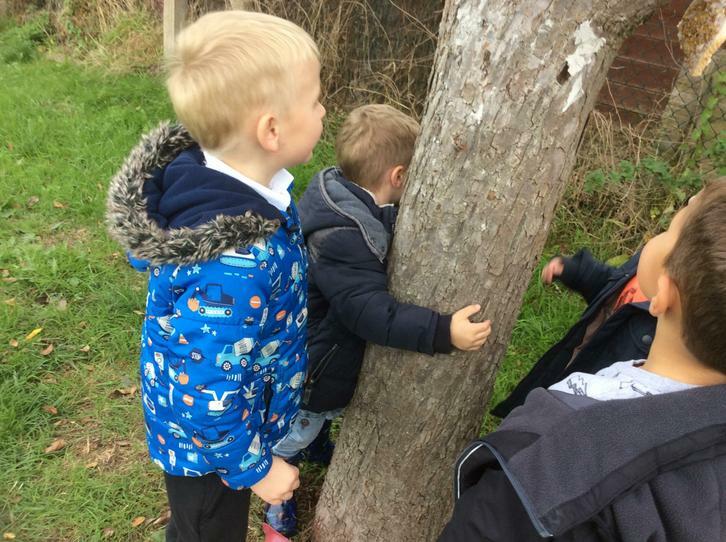 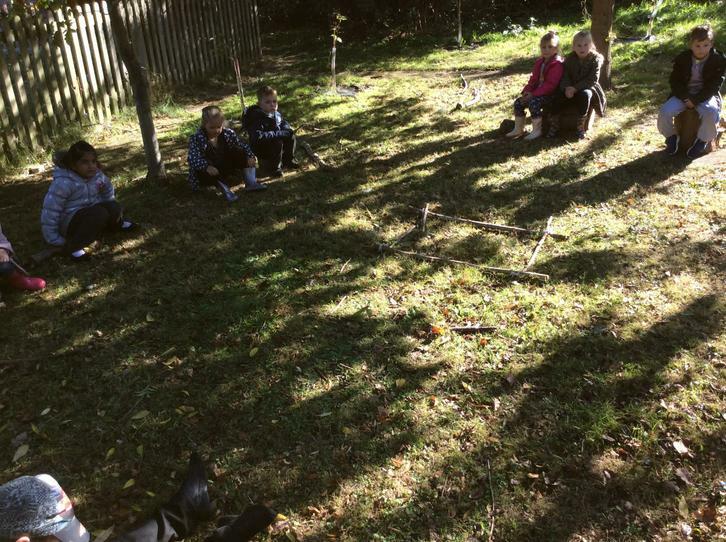 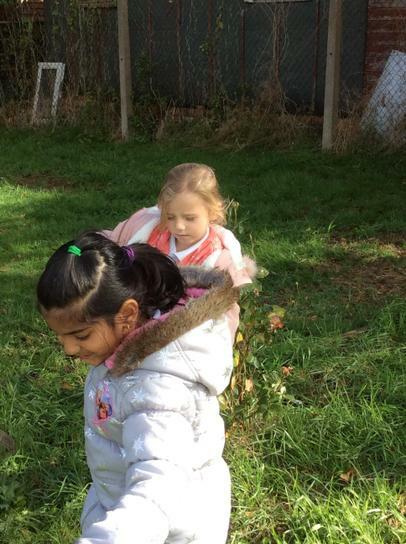 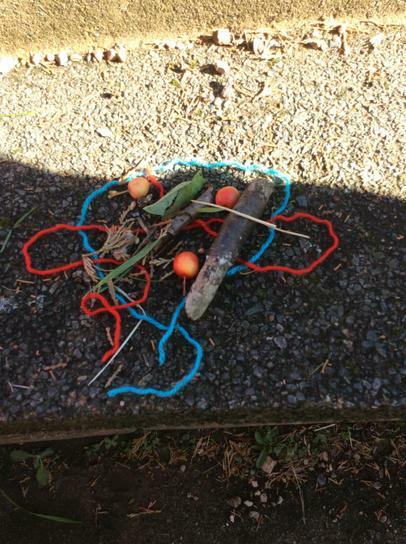 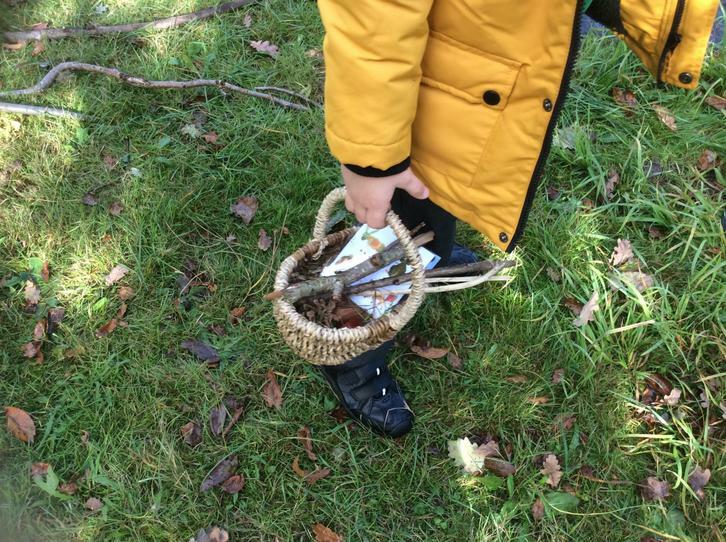 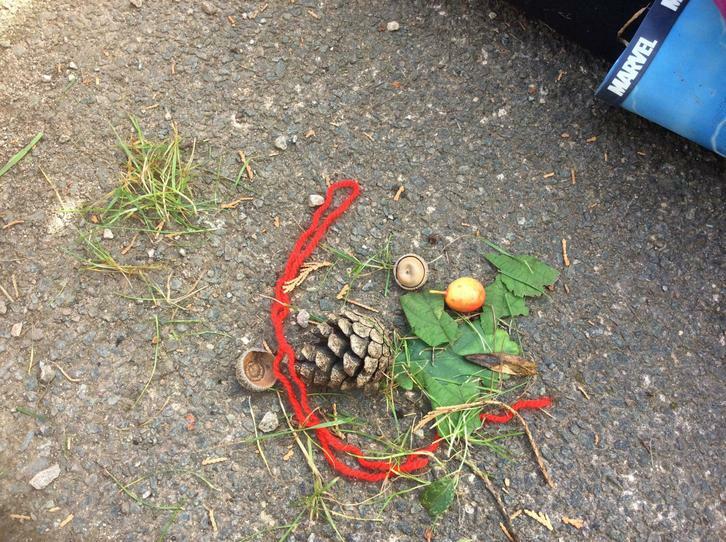 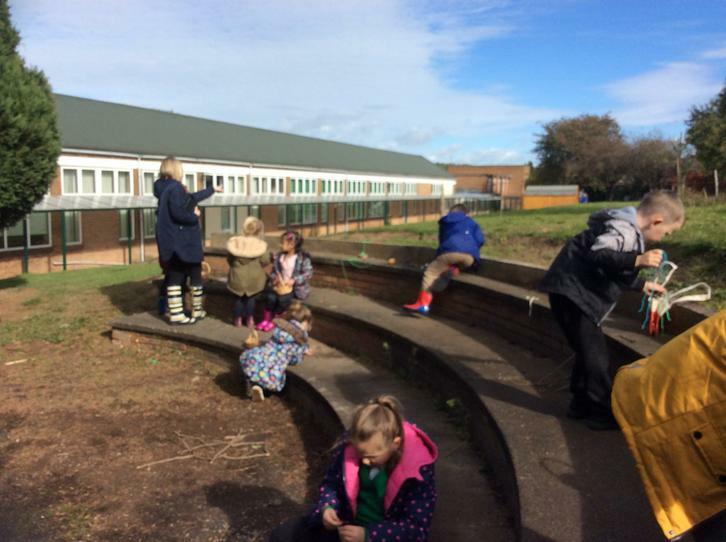 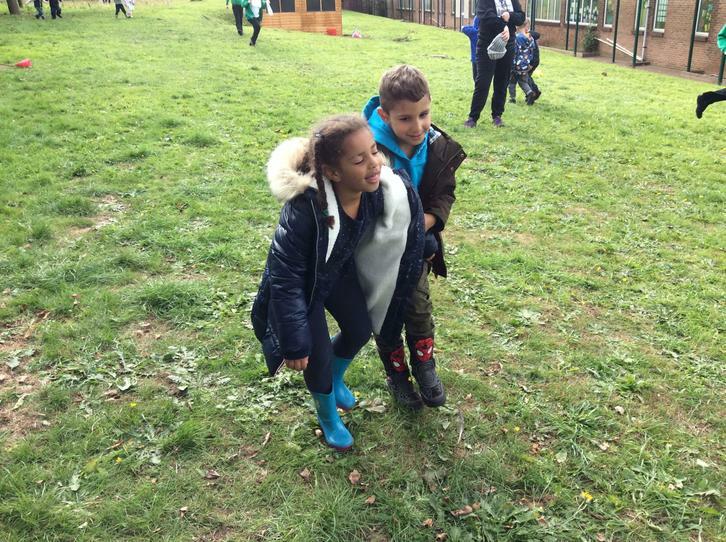 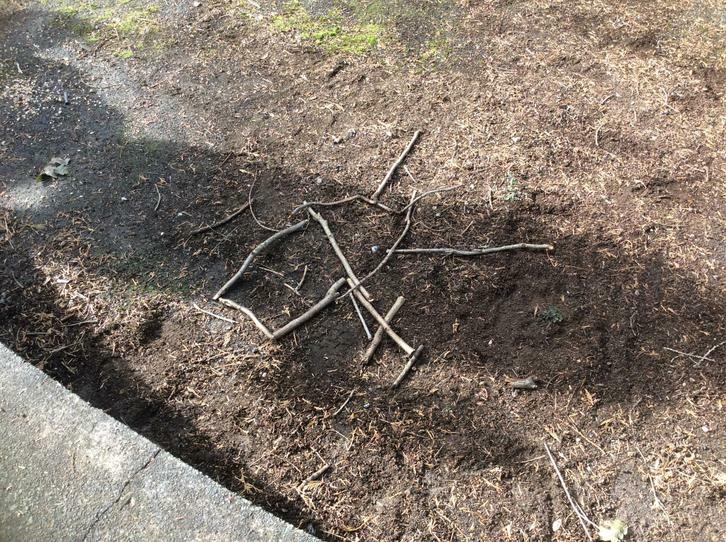 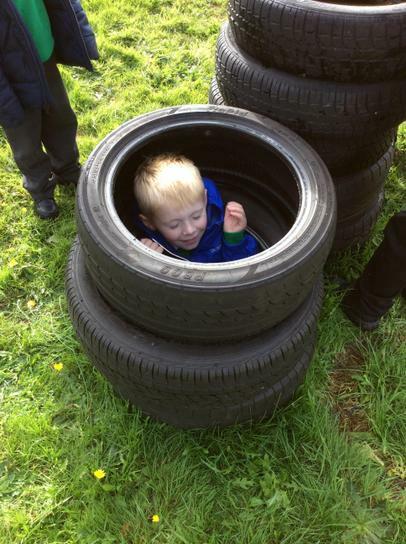 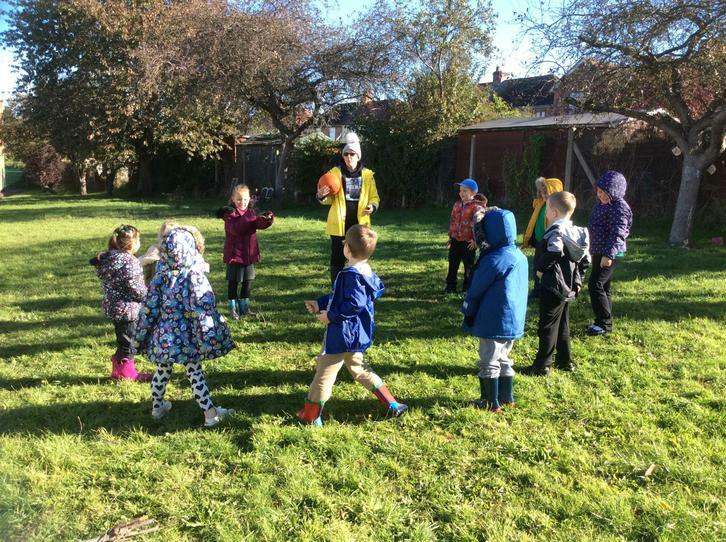 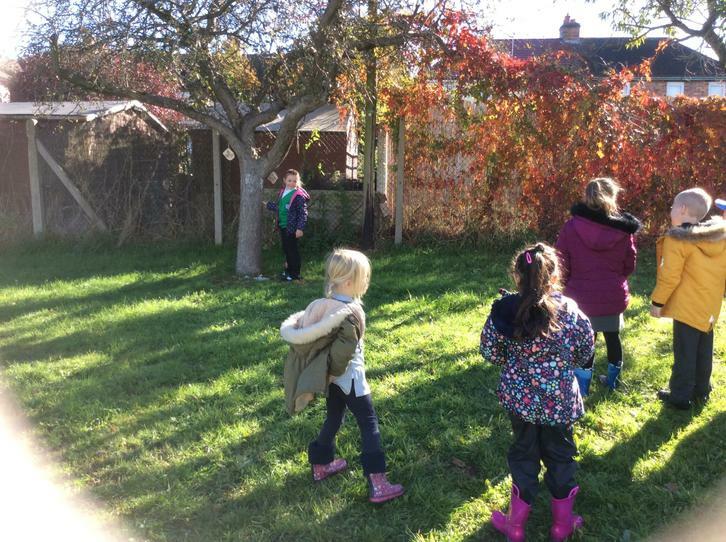 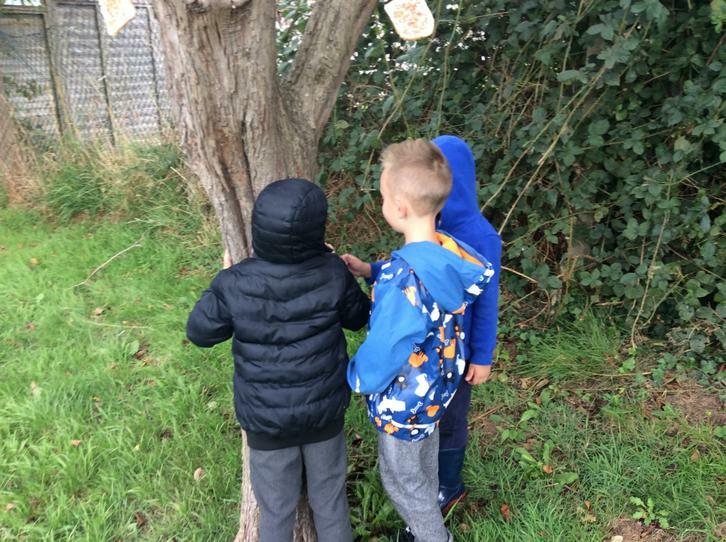 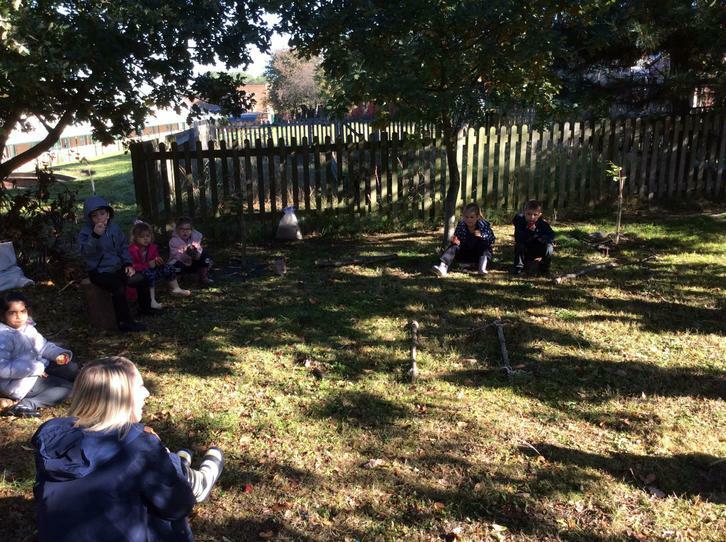 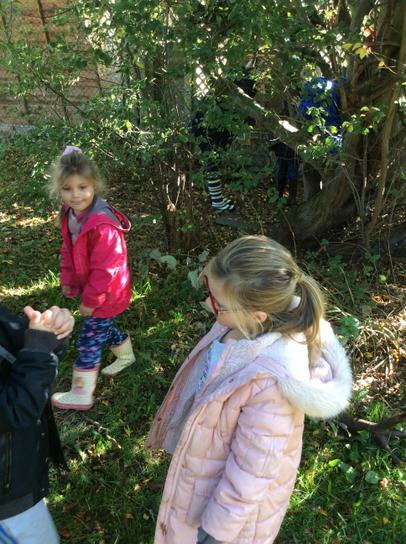 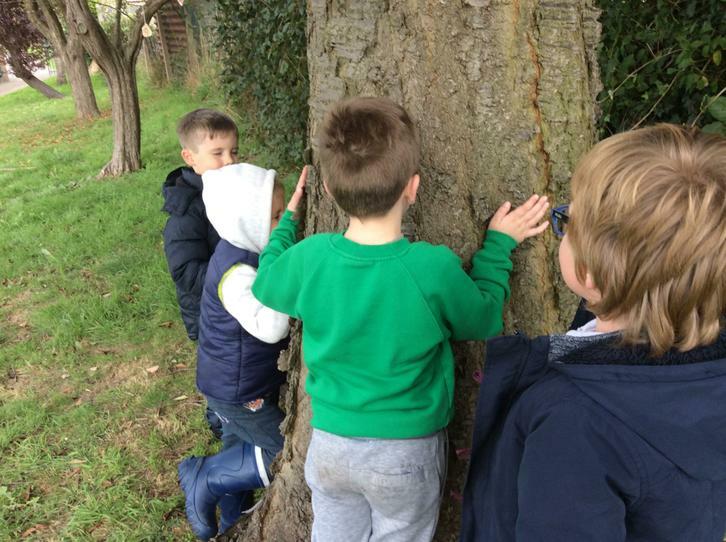 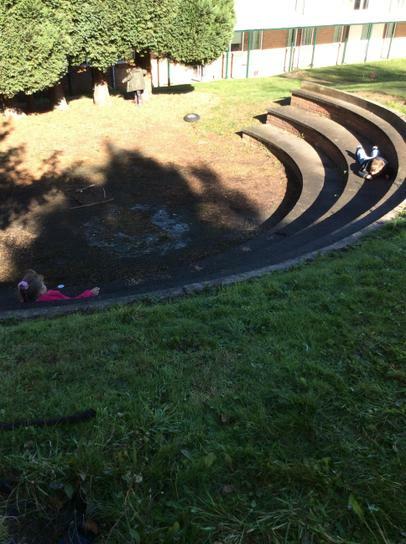 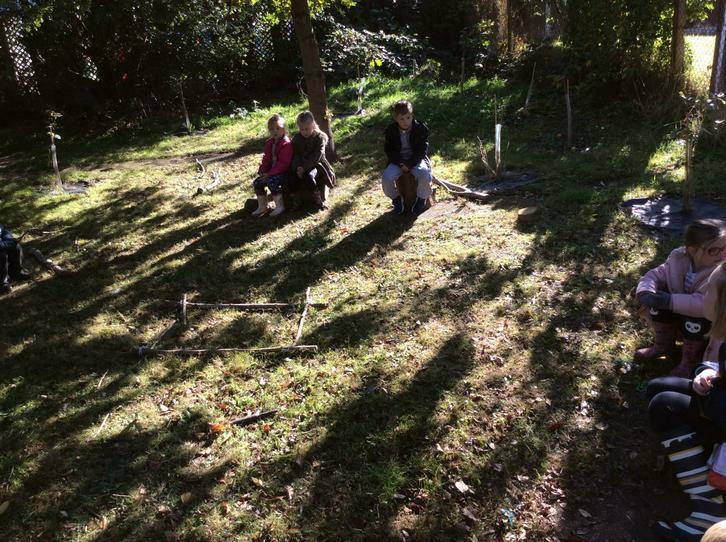 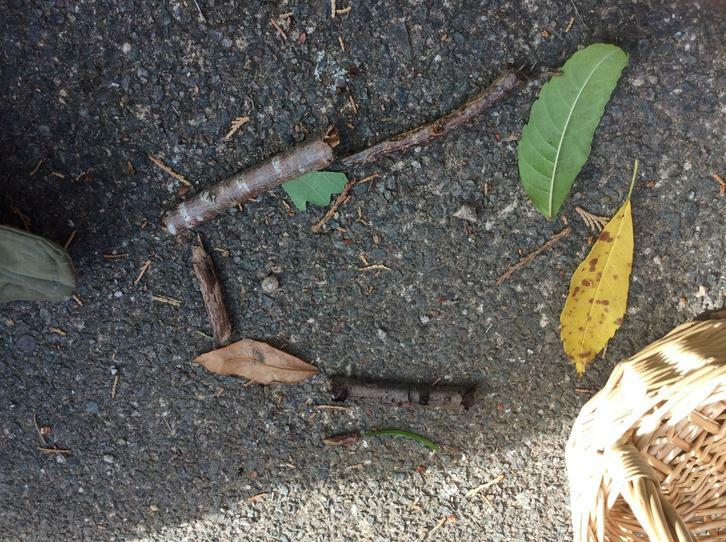 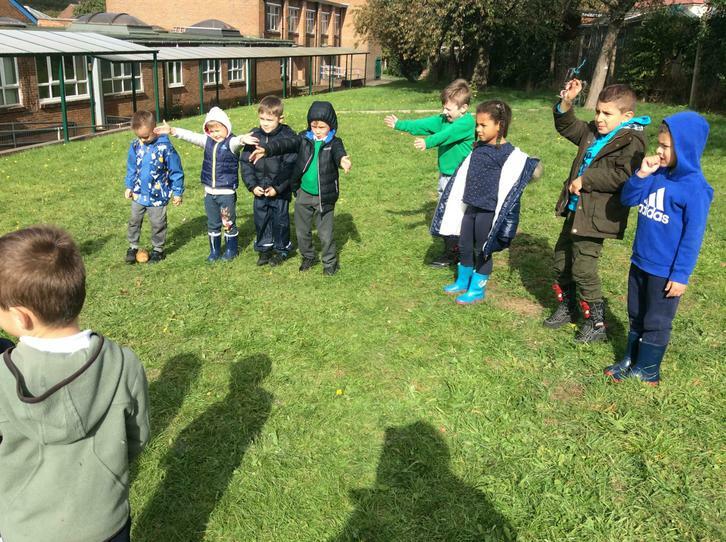 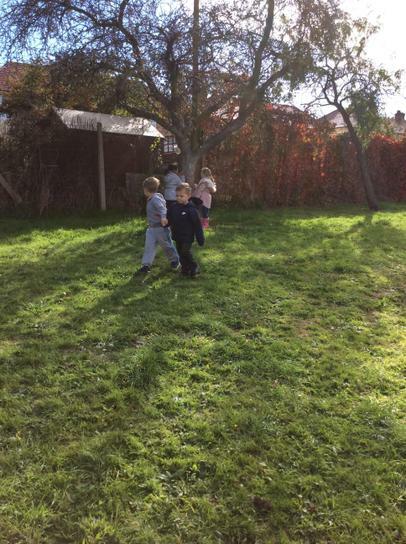 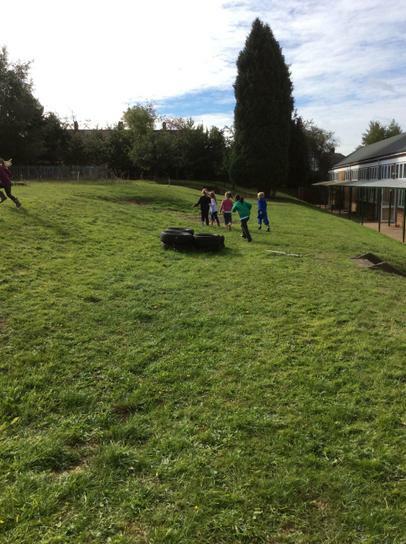 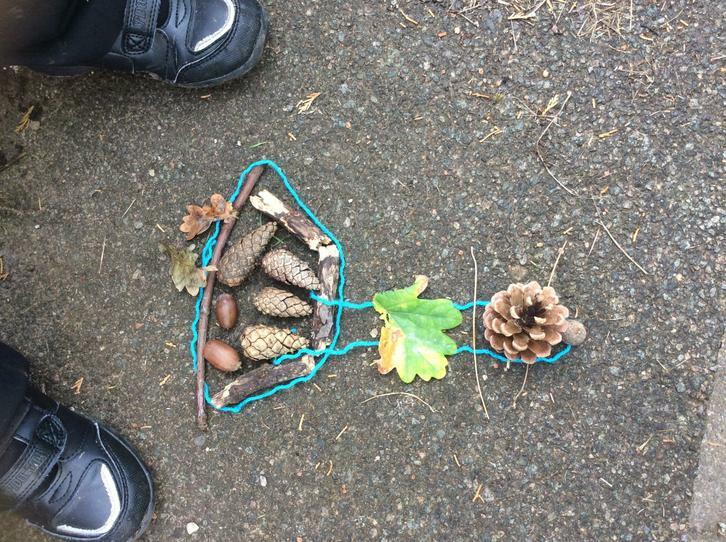 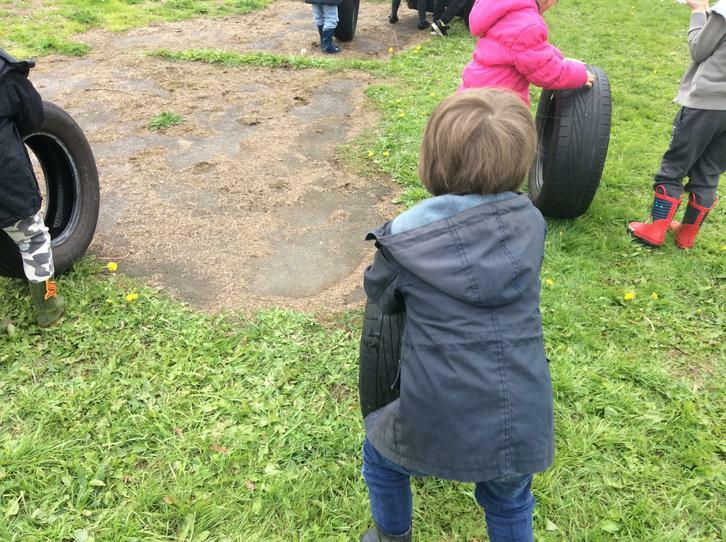 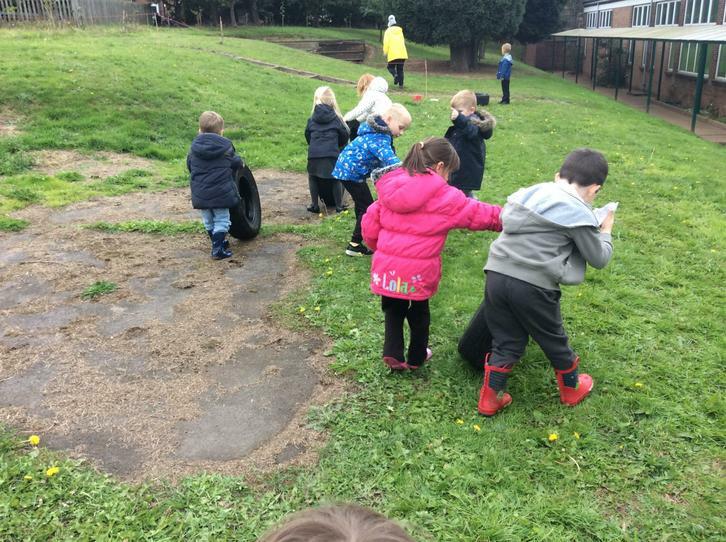 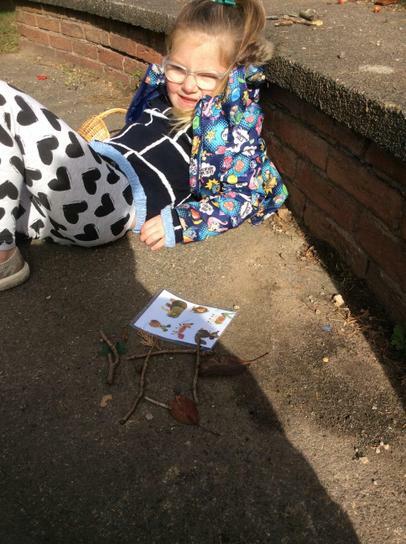 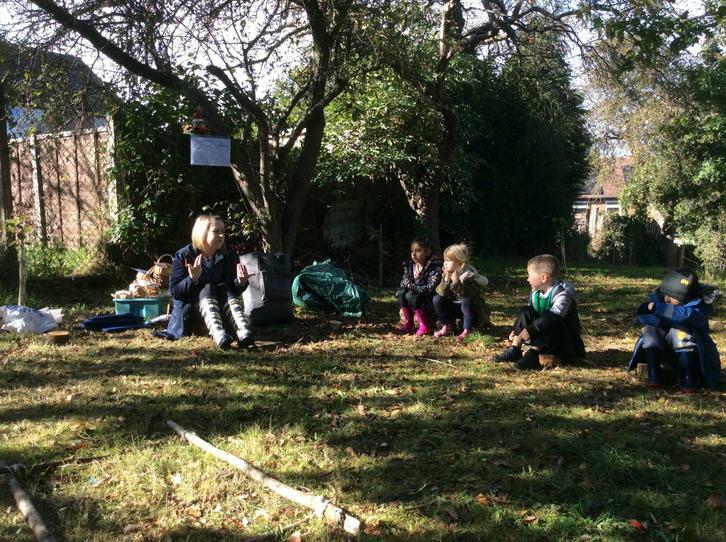 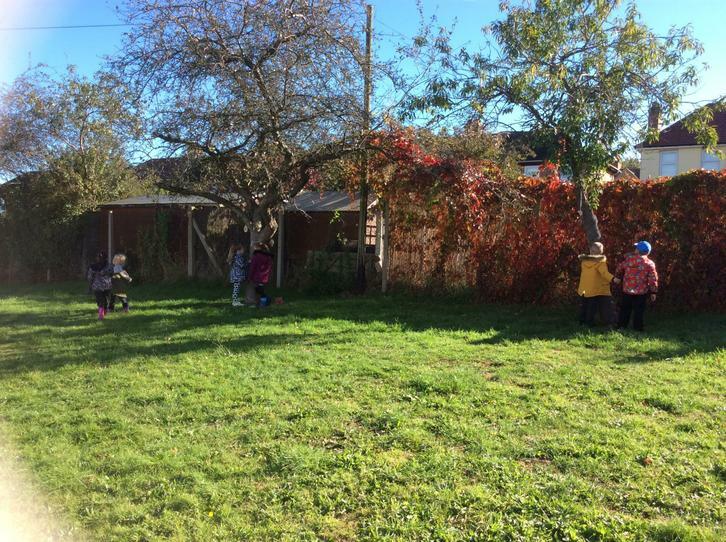 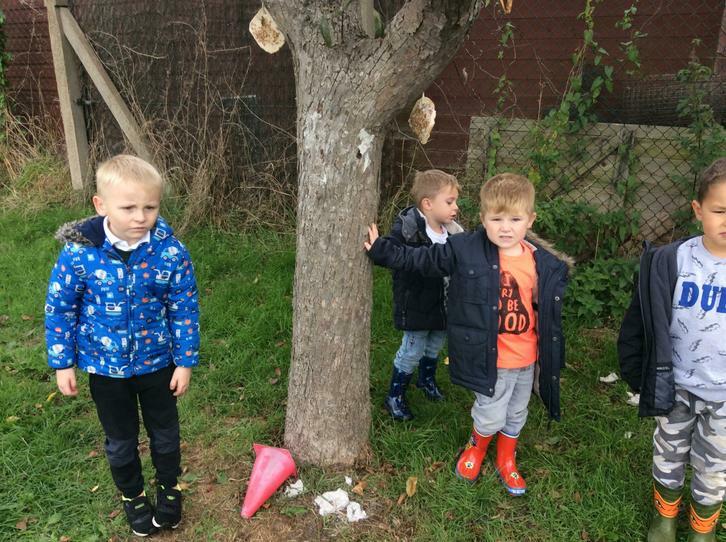 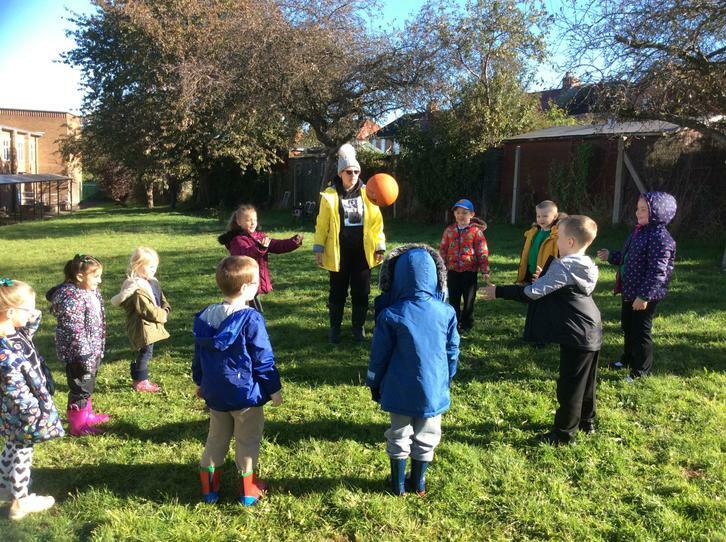 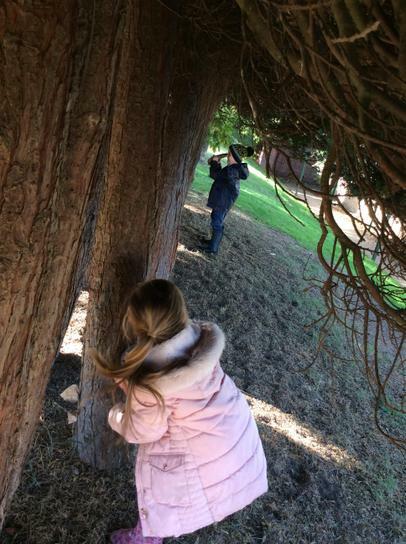 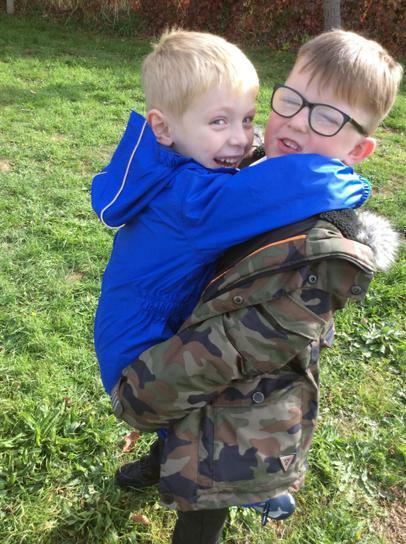 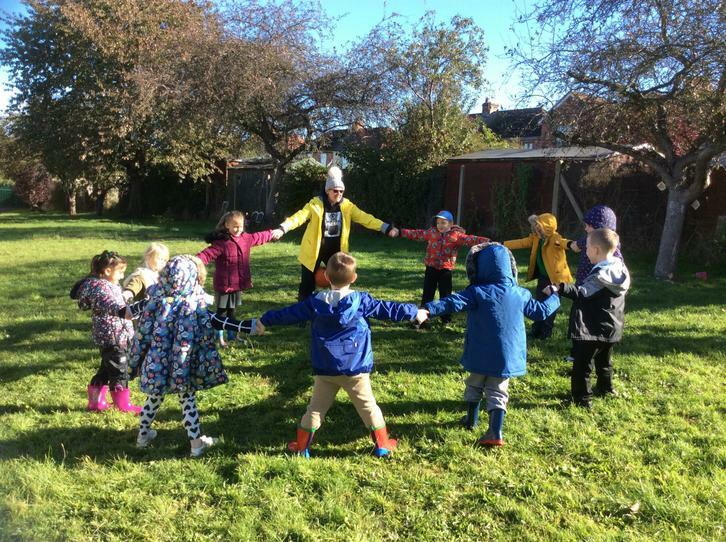 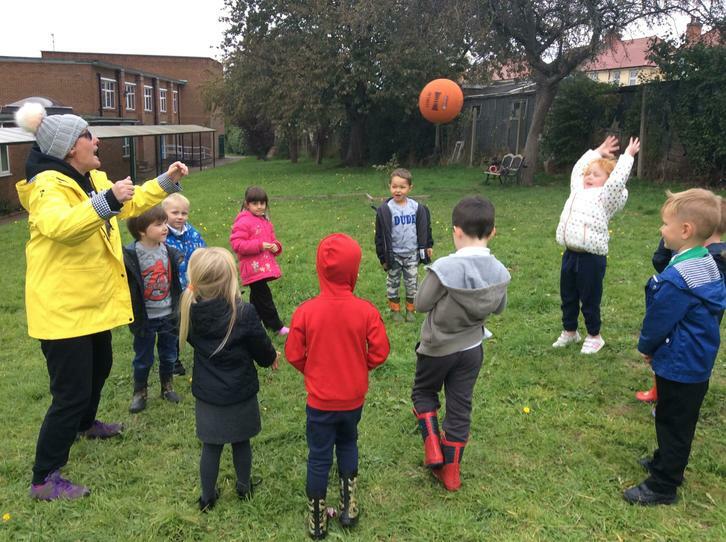 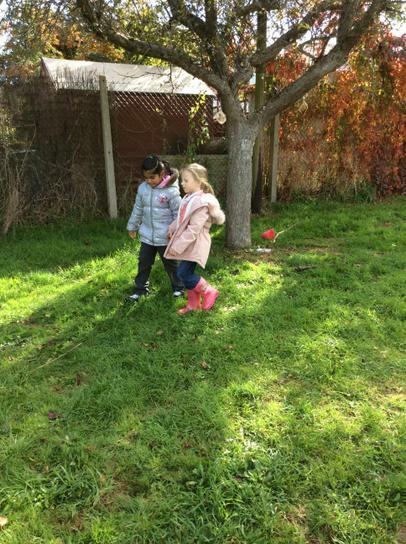 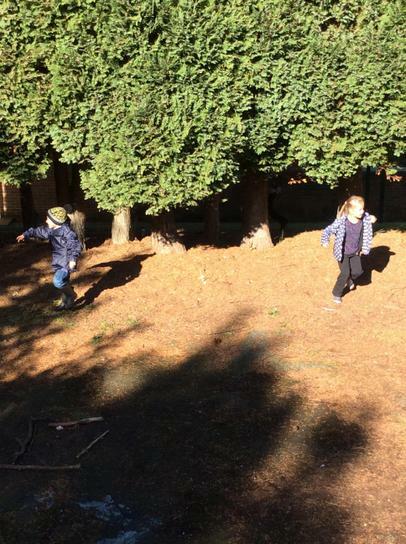 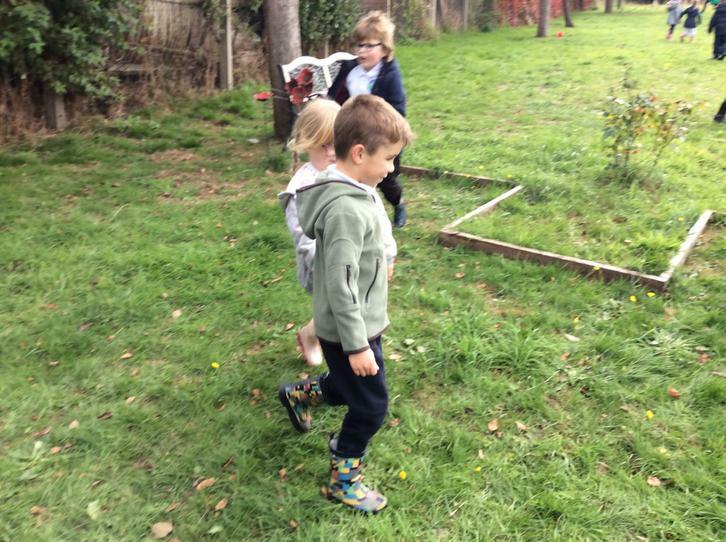 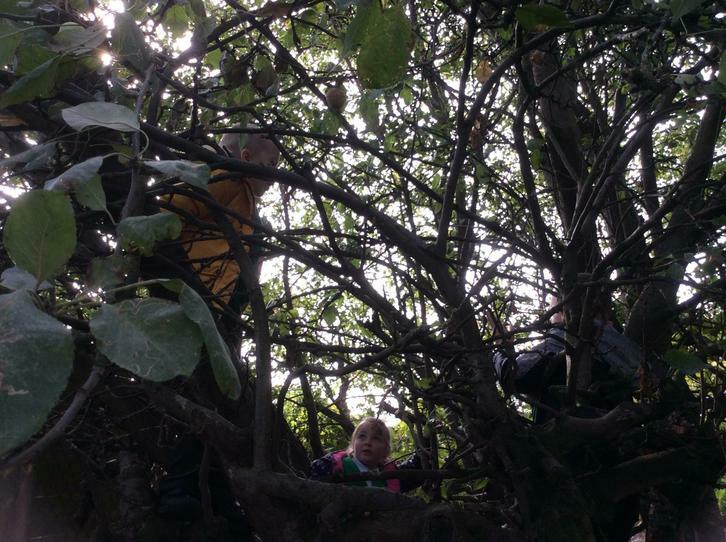 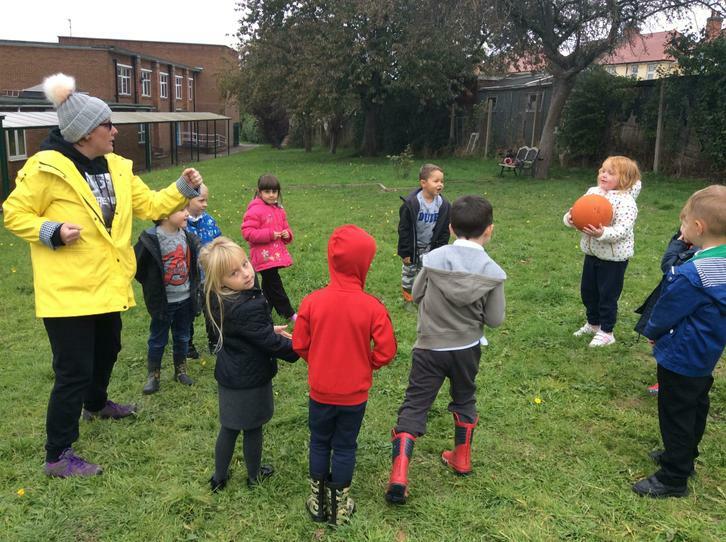 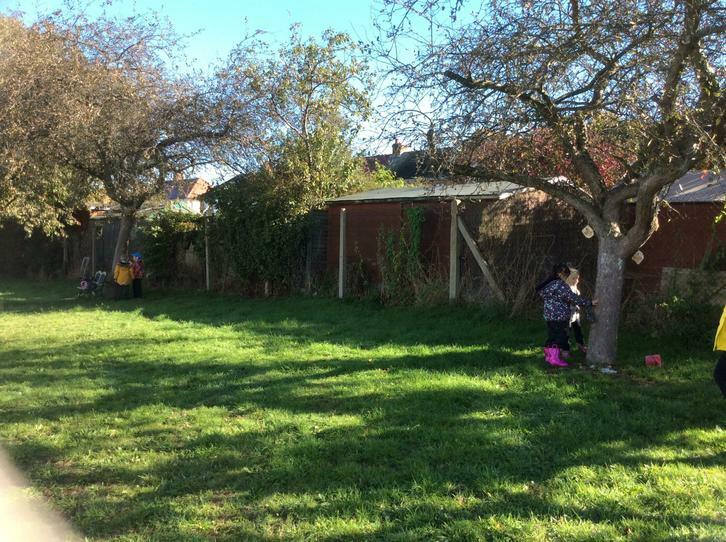 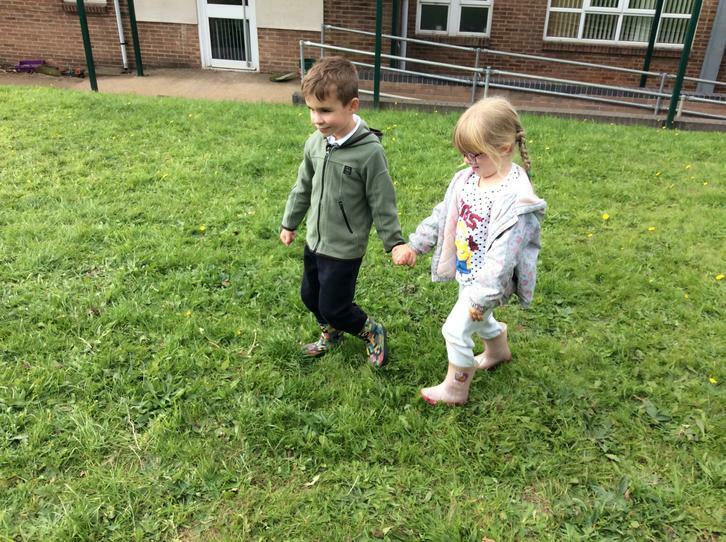 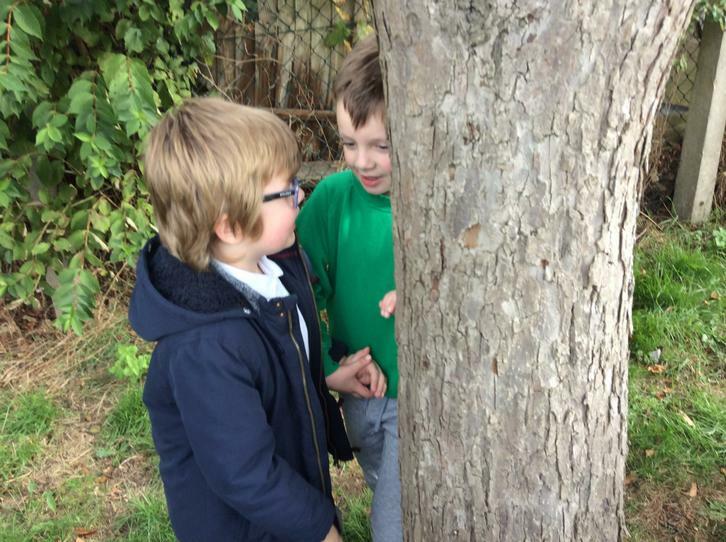 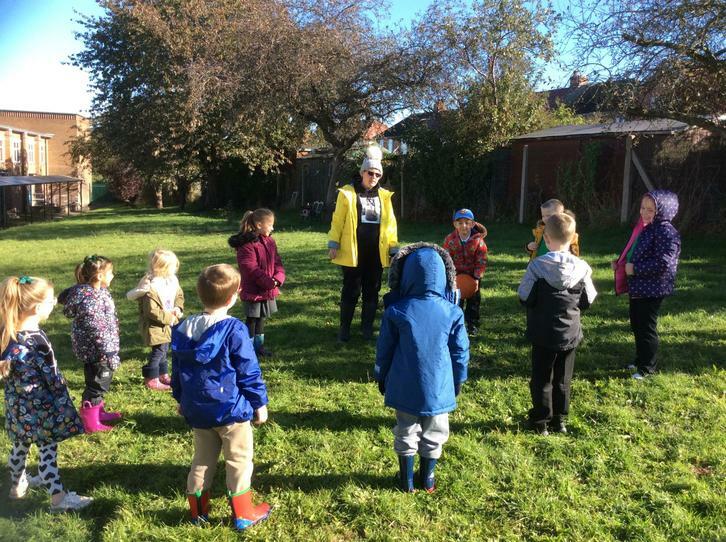 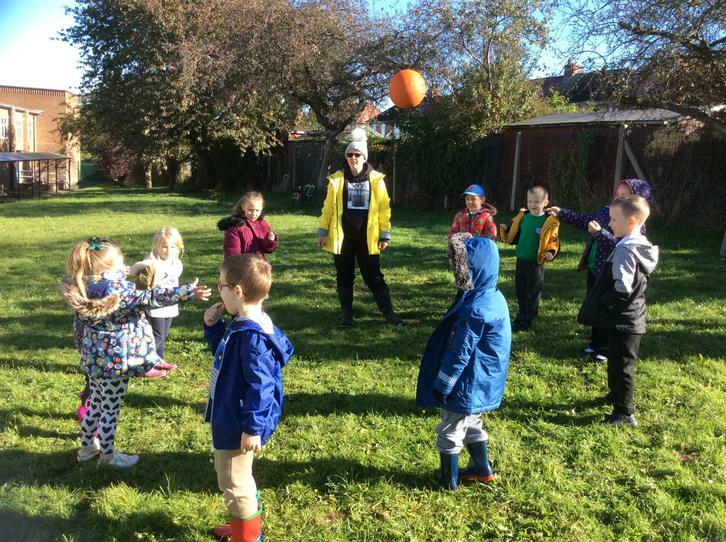 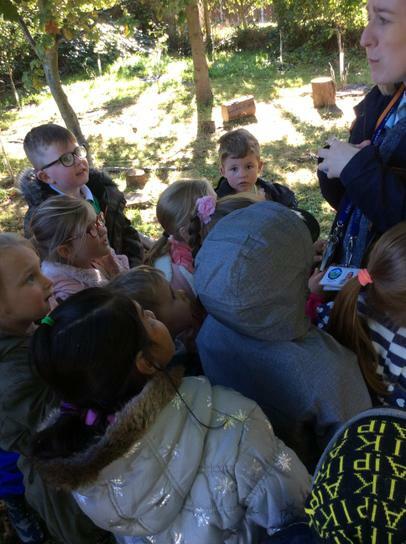 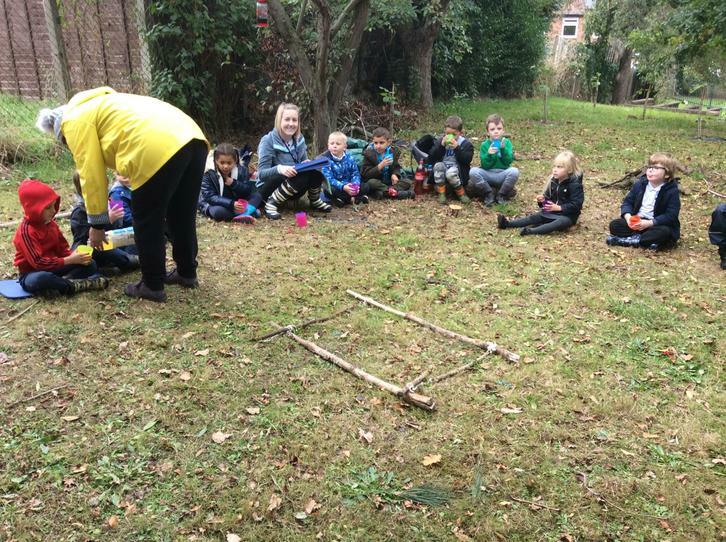 This week in forest school, the children went on a nature trail to find and collect different materials. 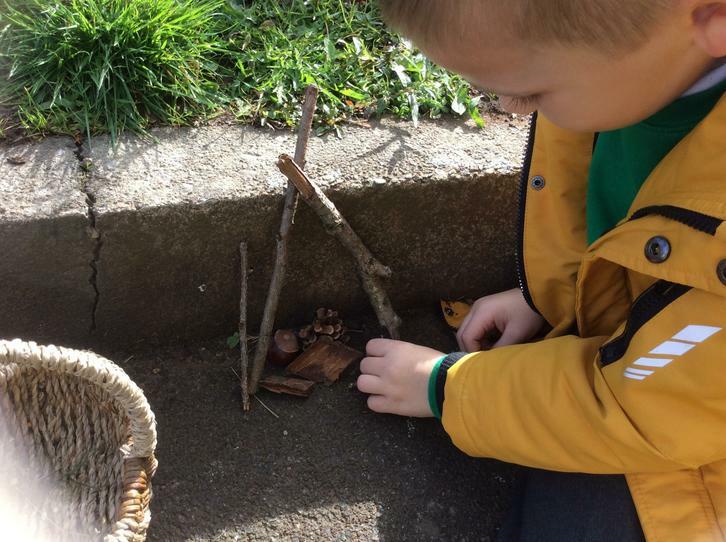 They then used their natural materials to make pieces of art! 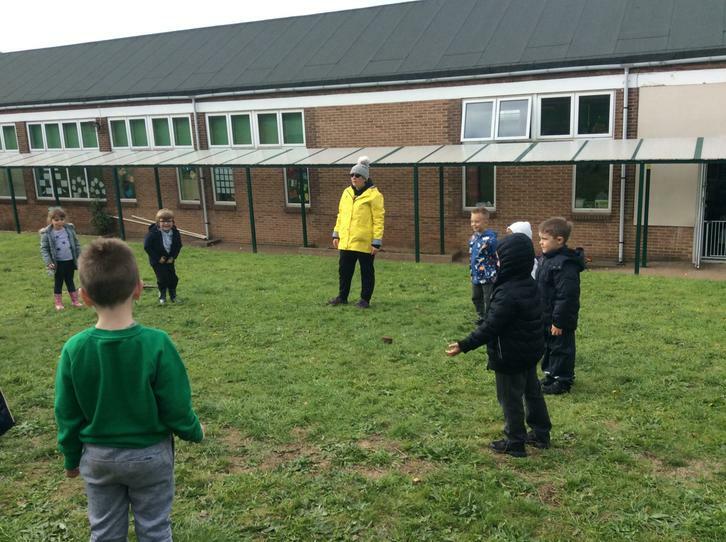 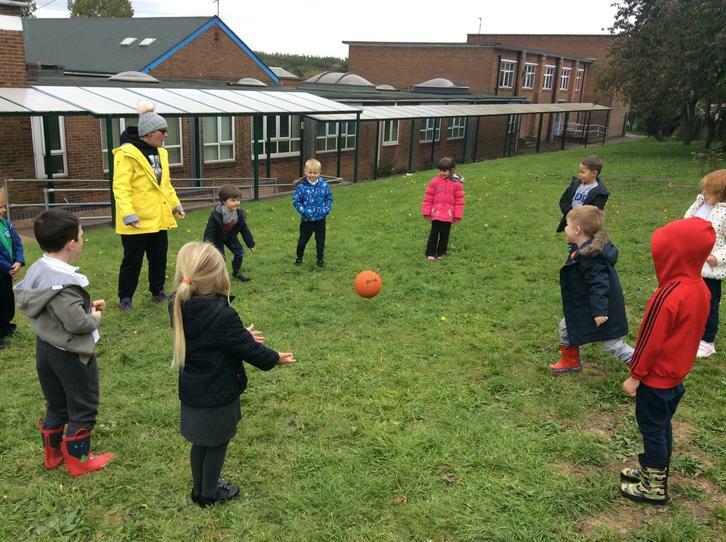 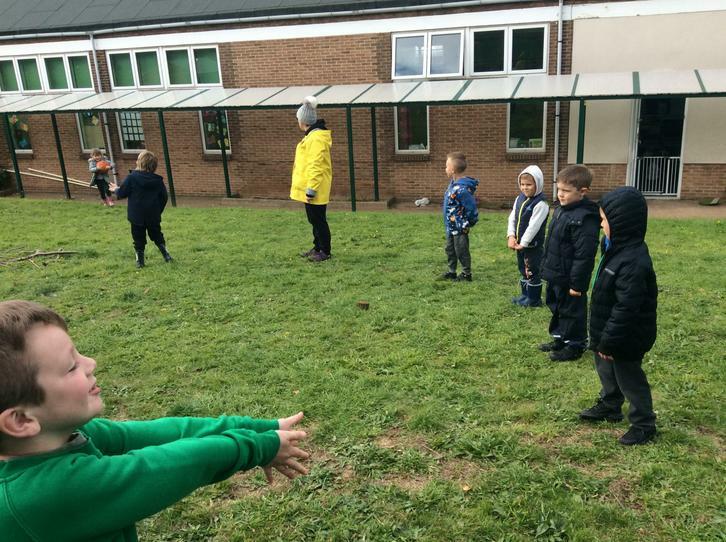 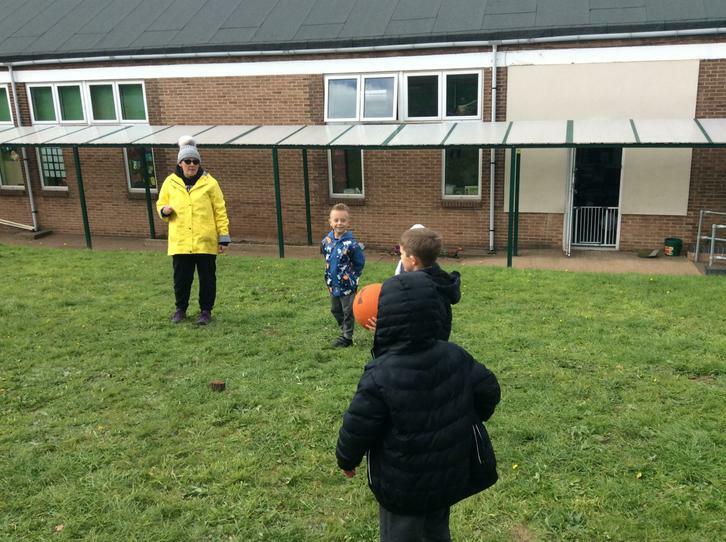 They also had chance to play lots of different games, including '1, 2, 3 where are you? 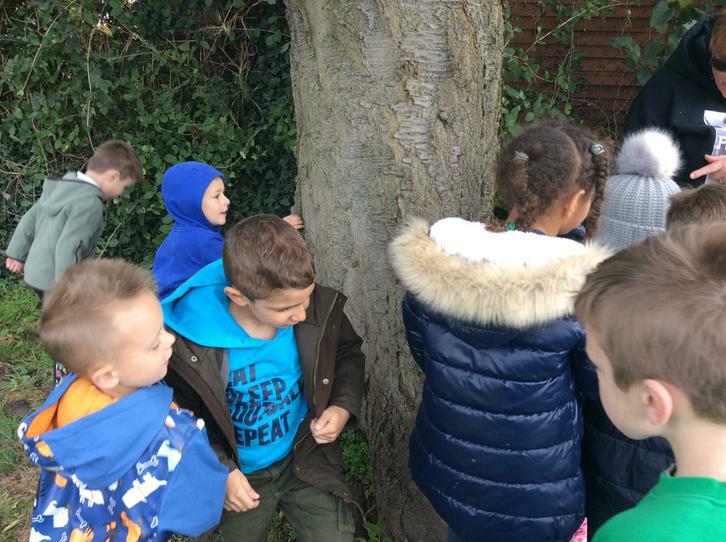 ', 'Zip and zap' and 'Meet a tree'!